Today Twitter announced that it would begin collecting data on the apps you download and using that data to serve you ads. 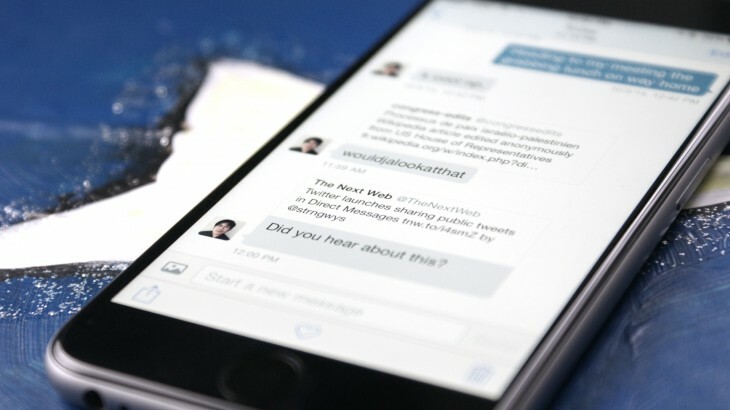 If you’re not a fan of Twitter being all up in your app business, you can stop it happening. Maybe you don’t want Twitter targeting ads towards you based on your love of tower defense games. Or maybe you don’t like the idea that you’re automatically being tracked. Whatever your reason, here’s how to stop it on Android and iOS. First tap the three dots (overflow icon) in the top right-hand corner. Then tap Settings from the dropdown and choose the account you want to remove from ad-based targeted ads. Scroll down to the Other area and turn off Tailor Twitter based on my apps. Navigate to the Me tab and tap the gear icon. From the pop-up, choose Settings. Then choose the account you would like to remove from ad-based targeted ads. 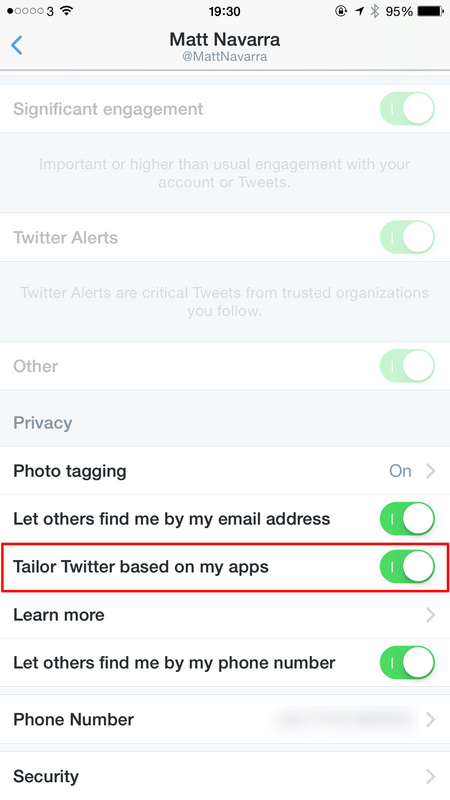 Scroll down to the Privacy section and turn off Tailor Twitter based on my apps. If you have multiple Twitter accounts you’ll need to do this for all of them individually.